Tonight..SE winds 5 to 10 kt. Seas 1 ft or less. Periods of light rain this evening, then chance of rain after midnight. Fri..SE winds around 10 kt. Seas 1 ft or less. Rain likely in the morning, then showers likely in the afternoon with vsby 1 to 3 nm. Fri night..S winds 10 to 15 kt, becoming W with gusts up to 20 kt after midnight. Seas 1 ft or less, then around 2 ft after midnight. Showers, mainly in the evening. Vsby 1 to 3 nm. 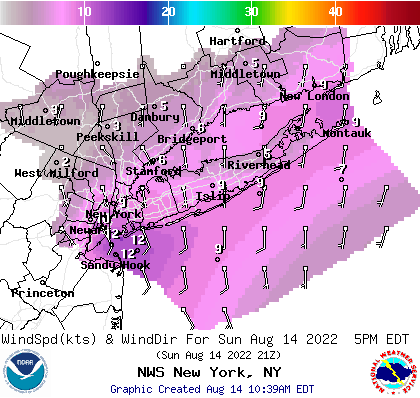 Sat night..W winds 10 to 15 kt with gusts up to 20 kt, diminishing to 5 to 10 kt after midnight. Seas 2 to 3 ft.
Sun night..N winds 10 to 15 kt. Seas 1 ft or less. Mon..NW winds 5 to 10 kt. Seas 1 ft or less. Synopsis for the long island waters and new york harbor.. A warm front moves across the area waters tonight into Friday morning, follow by a cold front Friday night. Low pressure departs to the north Saturday as weak high pressure briefly builds into the area. 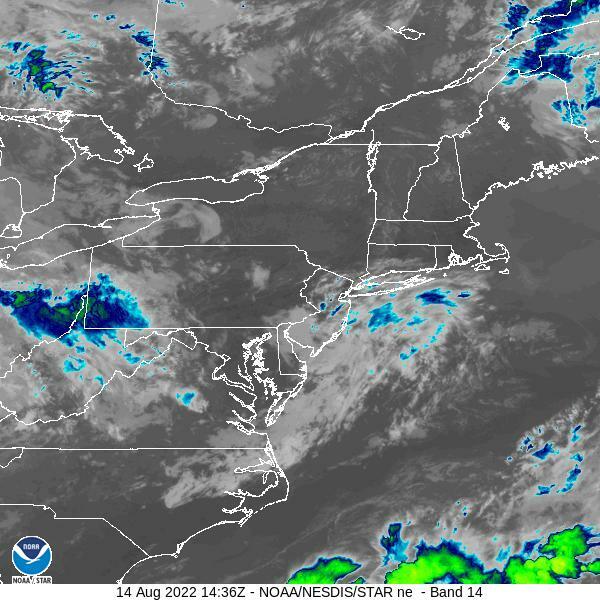 Weak low pressure passes across the area waters Sunday and Sunday night. High pressure briefly builds again Monday into Monday night before a series of frontal systems impact the area waters through the late week. additional chances for the remainder of the area overnight. Temperatures tonight will be in the upper 40s to lower 50s. approaches tonight and moves across the region on Friday.